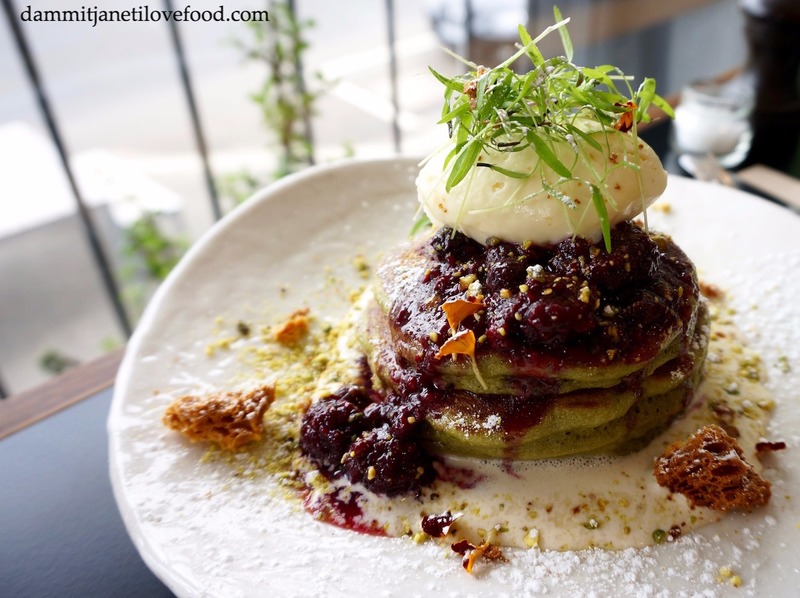 These hot cakes were a bit on the soggy side however they had a lovely mild matcha flavour, and tasted terrific with the slightly tart berry compote and the sweet honeycomb, mascarpone and red bean crème. These croquettes were crispy on the outside and creamy on the inside but they lacked flavour and had to be eaten with the sauces. 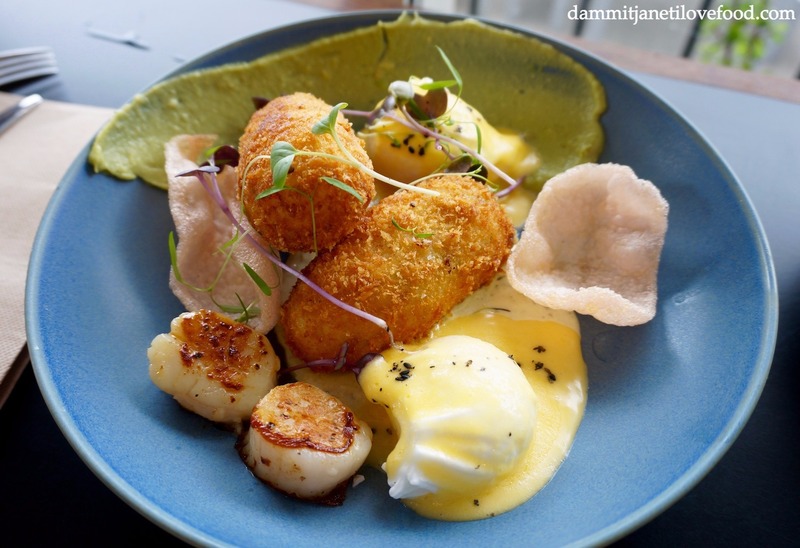 The crackers were a bit stale, the eggs were nicely poached, and the scallops were fantastic. These curious looking blobs are in fact water and agar, and when eaten on its own didn’t really taste like anything. But when it was eaten together with a sweet syrup and a nutty powder, it became a light and refreshing dessert. Tasty food, friendly service, laid back ambience with an awesome view of the beach. The raindrop cakes are on their specials menu at the moment, so try them soon before they disappear. I love the look of your pancakes. Were they healthy? I am on the lookout for some cafes which serve healthy and paleo foods. What do you recommend as a foodie?